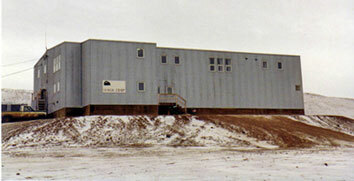 Incorporated in June 1971, the Co-op is located on Banks Island in NWT.The traditional name is "Ikaahuk" (where you go across to). The Co-op operations include a retail store, fuel delivery and property rentals. Sachs Harbour has a population of 122 and is the northern-most community in the Northwest Territories, located 523 km northeast of Inuvik. Prominent languages spoken are Inuvialuktun and English The community is accessible by air from Inuvik year round and bulk supplies and food are barged in during the summer months. Sachs Harbour was named after the ship 'Mary Sachs' of the Canadian Arctic Expedition of 1913. In 1929 a permanent settlement was established when three Inuit families settled there to trap and live a very traditional lifestyle hunting muskox, caribou and polar bear. Hunting and trapping continue today as the community's primary economic base and to a lesser degree, tourism. In 1953, the RCMP set up a detachment post. Oil and gas explorations are carried out in the Beaufort Sea.